can be found in unexpected locations like city parks, art galleries, and even luxury airport lounges. Last Wednesday we launched our most unique pop-up to date—a curated b8ta showcase in the Virgin Atlantic Upper Class lounge at JFK Airport. This marks our third pop-up opening for the 2018 holidays season and our first outside of a traditional retail location. 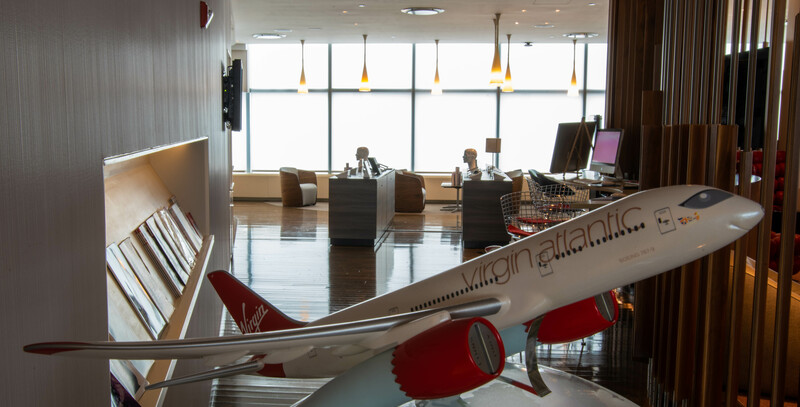 After discovering our Portland store, Virgin Atlantic wanted b8ta to bring our retail experience to travelers visiting their lounges. The Virgin Atlantic brand promise of heartfelt customer service, smart disruption, insatiable curiosity, and delightful surprises are values that ring true at b8ta. Our goal was to find new ways to bring these values to the lounge and give club members a more unique and memorable lounge visit. 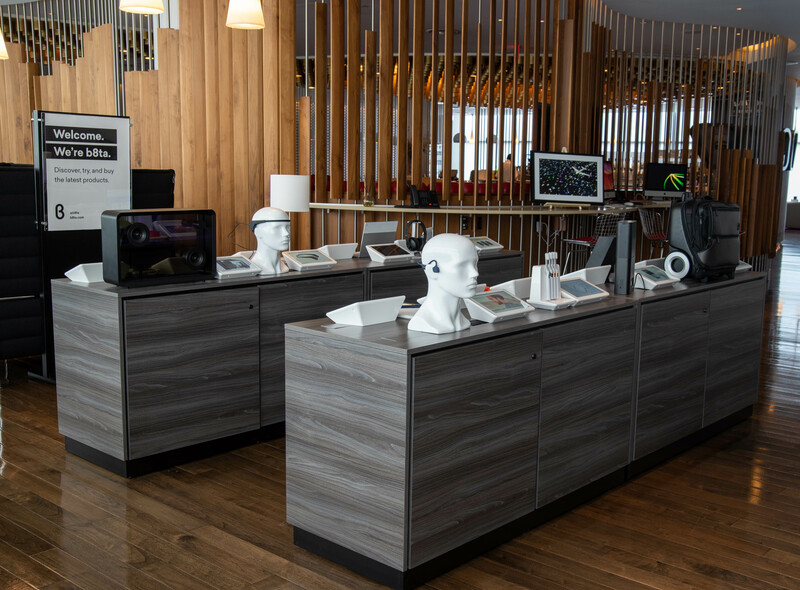 We collaborated with Virgin Atlantic to carve out a section of the lounge that showcases the latest tech products for travelers. From Pocket Talk and the Muse Brain Sensing Headband to the lineup of Google assistant products, travelers have the opportunity to demo twenty of the most innovative products on the market. The space was designed to match the premium lounge vibe and we focused the product lineup on travel-related products. b8ta employees (called b8ta testers) staffed the store to demo each product to Virgin Atlantic travelers. Although products are available for purchase in the lounge, our goal is simply to help Virgin Atlantic stand out and engage through a unique and unexpected experience. We’re honored an iconic brand like Virgin Atlantic chose b8ta to bring this experience to their lounge. b8ta is Retail as a Service: you provide the vision, we provide the retail experience that meets your needs. With our retail subscription models you can scale up or down as your business grows or pivots. Set up shop for the consumers you want, we do the rest.